Yesterday, I had a feeling that I would miss the latest Bibrave chat and that feeling was in my calves – they happened to hurt as I told Julia, my go to person with Bibrave, that I would be late to the Bibchat. Well, I missed the chat entirely and guess what happened! I pulled a hamstring (or at least popped something in the hamstring area) while playing soccer and missing Bibchat! So as a sacrifice to the gods, I am recapping the Bibrave chat even without participating! 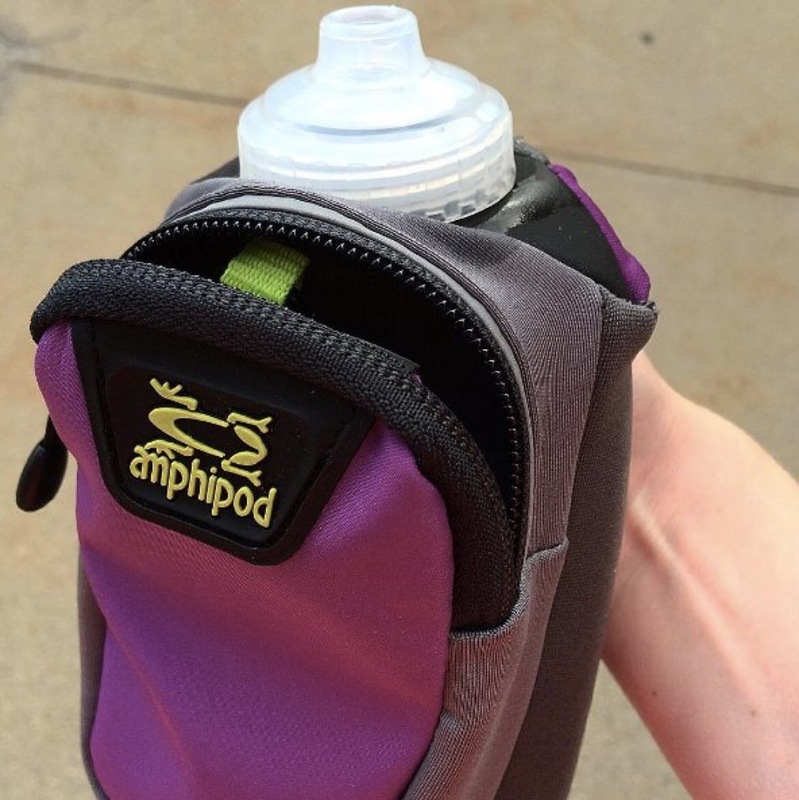 However, I have done some research on the chat and the sponsor of the chat, Amphipod! Before proceeding, a quick word on an Amphipod; from what my fell BibravePro’s are indicating, this is a pretty good combo package of water and phone/gear. I myself are not a big fan of carrying such items as I think it slows me down but I might give it a try anyhow and see how it goes. Now onto the chat! My must have Gear items! There are a few items that I always run with. First, my Garmin 235 watch. I wear this everywhere and it tracks my running perfectly! And Second, my AfterShokz (remember, 20% off with code BIBRAVE) Trekz Titanium earphones. These are the best option for headphones I have used, including my beloved Yurbuds! I have gone wireless! The last item varies between my iPhone 6s+ and an older iPhone. I like the smaller iPhone since it is easier to carry but lately I have been using the bigger one, because of the better camera. As for the choices of others who chatted include the Amphipod, hats, gels and fluids. Run alone or with someone on long runs? I am a “loaner” in that I don’t train with anyone. I find it more useful to run and train alone because it lets me “clear my head” and organize my thoughts! Advice for a newbie! If someone is about to embark on a long run or race for the first time, my advice is simple: TAKE IT SLOW! Then build up miles and add speed. Just finish the first time…then build speed and endurance. Hydration and Fueling: These are very important aspects of ones running routine! Eat poorly and drink little and one will end up with muscle pulls and cramping. Eat well and hydrate and one will run much further! Question is what are my choices for such! I am a big fan of chia for one combined with Metagenics “Endura” energy drink. In addition, cliff bars are a favorite of mine as well. How did I select these options? Testing and research! My most rewarding part of a long run? I think my answer is best summed up by one other who said the same in the chat: FINISHING! Previous Post CR: Found my next goal…an Ultra?